This is the main concern of denture wearers, the uncertainty of when their dental appliances may move around. In addition to being uncomfortable when this happens, depending on when it happens, it can also be embarrassing. Denture adhesives are designed to prevent these things from taking place. Powder denture adhesive is intended for daytime use only. This requires that the adhesive is applied in a specific way each morning in order to be effective. It also means that at the end of each day the adhesive needs to be completely removed. Then dentures can then be stored for the night. Before applying anything to the surface of your false teeth, they must be thoroughly cleaned. Once you have completed this, do not dry them. Leave them wet as the moisture collected on your dentures will assist with creating a secure bond with the powder. Sprinkle the powder lightly and evenly on the sections of the dentures that will rest directly against gum surfaces in your mouth. If there is excess powder collected in this process, gently shake it off as too much adhesive will not make a better seal. Insert the dentures and press them firmly into place. It is advisable to hold them in place for a few moments and to bite down. This movement assists in seating the dentures into their proper place and helps in creating a better seal. After a day of use, it is advisable to remove your dentures and to clean them. The steps required to do this properly are simple to follow and after doing it a few times, they will become routine. In order to ‘break’ the seal created earlier in the day by the fast teeth denture powder on your wet dentures, you must first take a mouthful of water and swish it around. This will also assist in loosening food particles collected during the day. Using a rocking motion with your hands gripping a denture, the seal should release. This allows you to gently pull your false teeth away from your gums. Once removed use a soft, moist cloth to wipe away any powder residue still attached to your gums and dentures. Clean the dentures completely by using a cleanser specifically made for false teeth cleaning. Do not brush them clean with a regular toothbrush. Cleansers may require your dentures sitting overnight in a bath, others may not. Follow the directions of the type and brand you use. 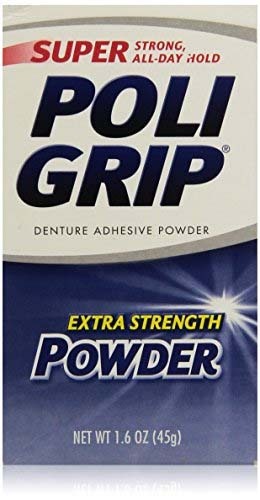 This powder adhesive for dentures provides a full 12-hour hold and is said to keep them feeling comfortable in your mouth. The powder forms a seal that not only keeps dentures in place, it keeps food from getting caught between them and your gums. What makes this product stand out is that it comes in a bottle. This makes applying the powder much easier and more consistent that other sprinkling methods. The powder also contains what the manufacturer calls their “original fresh flavor” which may make it easier for some users to handle if taste is a concern. 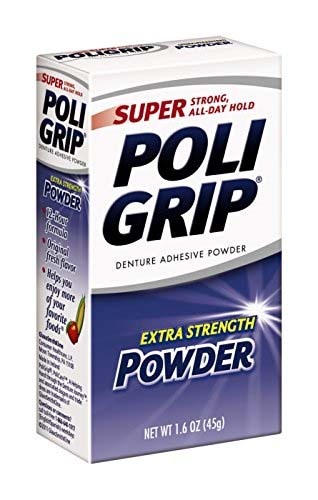 For more information about PoliGrip Super Denture Adhesive Powder, click here. Featuring the extra strength of a 12-hour hold, this is one denture adhesive that rates high by consumers. 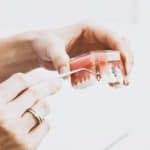 Online reviews point to the fact that this manufacturer uses a zinc-free adhesive formula which has caused many denture wearers to switch to this brand over other popular ones. Add to this the packaging of a total of six 1.6-ounce individual packets of powder and you have an attractive bulk buy. Using their “original fresh flavor”, applying adhesive powder is enjoyable and easy. The seal also keeps food from lodging between false teeth and gums. 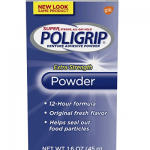 For more information about PoliGrip Super Denture Adhesive Powder, Extra Strength, click here. This brand is the #1 Dentist recommended denture adhesive on the market. That’s because it provides a strong hold that lasts all day and is backed by a money back guarantee. 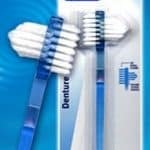 It is an easy to apply powder that keeps dentures held in place with a strong and thin airtight seal. 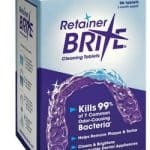 In addition to the “Satisfaction Guarantee,” the manufacturer indicates this formula is great for use on either full or partial dental plates. This packaging provides a bulk pack of four packets of powder which makes for an affordable purchase for daily users. 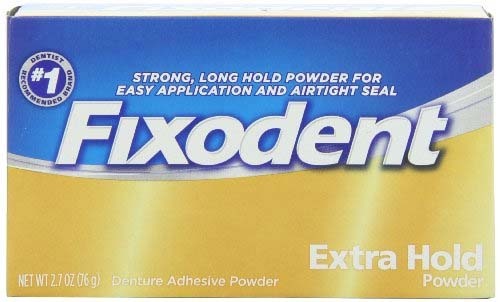 For more information about Fixodent Extra Hold Denture Adhesive Powder, click here. This product has a long track record having been in the business of holding dentures in place for well over 70 years. 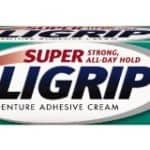 The manufacturer says they use a “super holding original formula” which provides a long-lasting and secure seal. What makes this fast teeth denture powder stand out is that it does not have a strong taste and that it does not ooze once applied. This packaging features a 1.75-ounce size which would be suitable for a single application. It is one of the best denture adhesive powder products available. 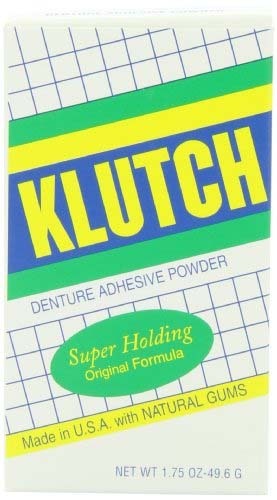 For more information about Klutch Denture Adhesive Powder, click here. Dental adhesive powder is an effective and affordable way to keep false teeth held securely. They create a bond that can last for a full day. It is because of the bond between false teeth and gums that you can enjoy all aspects of a normal and active lifestyle without fear of a loose denture. Loose dentures can cause several problems. If they are not held securely they can slip or fall during meals or conversation. A denture powder creates a seal to prevent this. If you are unable to achieve this result, it is a sign of something more serious. 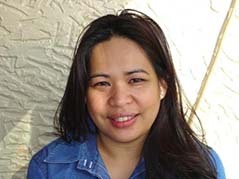 A visit to your dentist will be able to diagnose and remedy the problem. What Is The Best Way To Store Dentures?